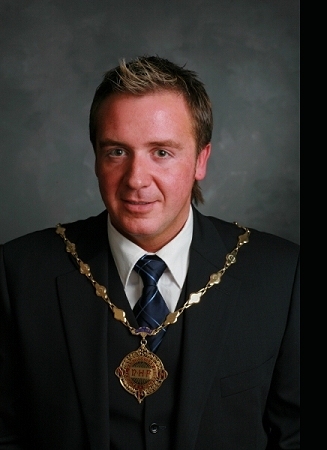 Mark has become the youngest ever Vice-President of the National Hairdressers Federation. Mark Coray, 39, who owns the award-winning salon Coray and Co is now number two in the organisation which represents 8,000 owners of hairdressing and beauty businesses in the UK. Mark is already a leading figure on the national and international stage. He represented Great Britain at World Championship level hairdressing competitions in Japan and the US and is the only person to have twice won the titles British Champion Hairdresser and International Champion Hairdresser. He was only 21 when he opened his City Road salon which now employs 10 staff and has a number of celebrity clients. He won the award Celebrity Head of the Year for styling the hair of ITV weather presenter Sian Lloyd and is one of only a handful of specialist L’Oreal Degree Colourists in the UK. The National Hairdressers Federation was formed more than 60 years ago following the amalgamation of a number of national and regional associations – some of which traced their roots back to the early 1800’s. The Federation represents the interests of owners of hairdressing and beauty businesses providing policy guidance and advice to members on employment contracts and apprenticeship deeds, education and training; health and safety; artistic, finance, contractual and legal matters.